Oh Trinity Kitchen, forever my favourite place for on-the-go food in Leeds. If you’re not familiar with Trinity Kitchen or y’know, you’re from Leeds but live under a rock, this is a seriously cool food hall in the Trinity shopping centre in central Leeds which is home to a whole load of street food. There are some permanent fixtures like Pho, Tortilla and Chicago Rib Shack (all absolutely dreamy) and then a massive space where for six week periods new food trucks come in. It’s the type of place where there is always something for everyone but you can sit anywhere, so it’s easy to just bagsy a table then go to whichever vendor takes your fancy. As I go there so frequently (working in the city centre means it’s very easy to drop by and pick up lunch or tea), I try and go to new vendors whenever I can and as they change fairly regularly, there’s always something different to try. 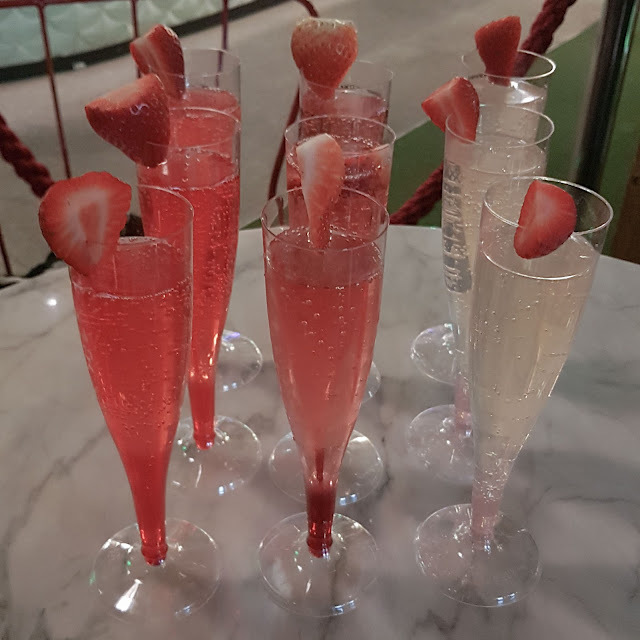 I was invited down to their Supper Club which is a press night for local bloggers to try out the different food and oh my it was just foodporn for days. 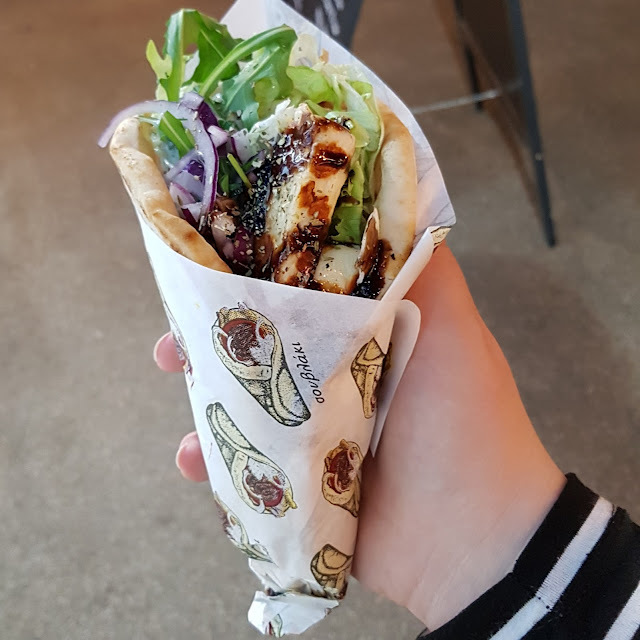 My absolute favourite in the line up is Eat Like a Greek who have actually been in Trinity Kitchen before. From their van, I had a chicken and halloumi wrap which was stuffed with salad and a minty yoghurt dressing. It was SO good and I’d 10/10 recommend. I took my gal Kellie with me and she went for a burger from Angus McVenison which was also pretty damn dreamy. 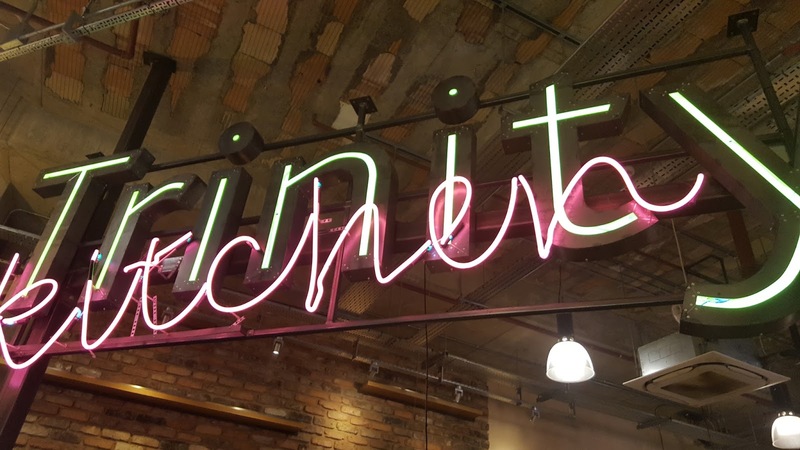 What I love about the vendors at Trinity Kitchen is that nothing is standard, everything in there has some kind of flair to it which makes it a little different. 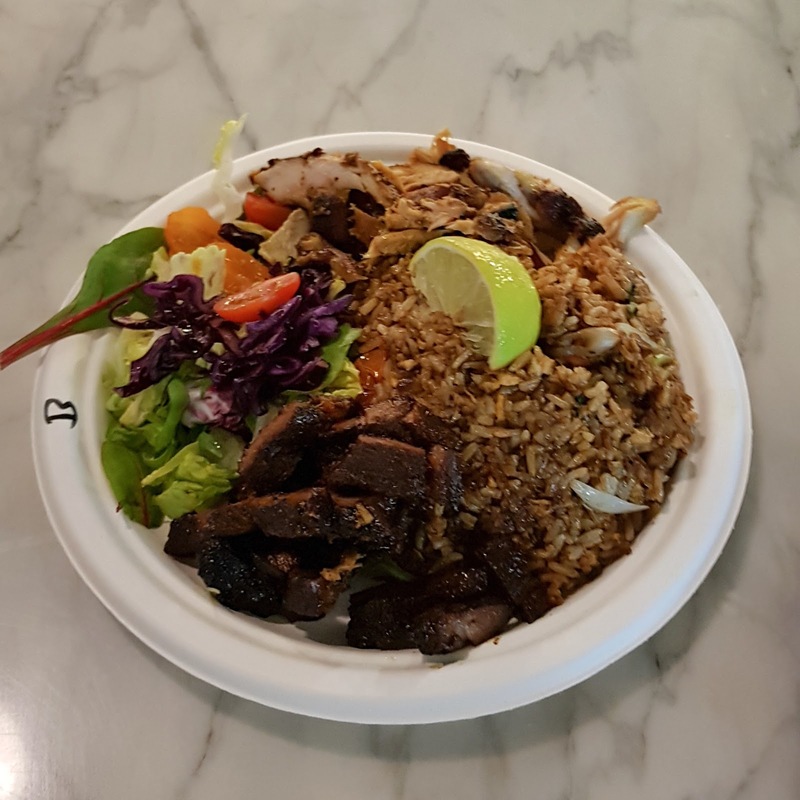 After we’d had our food, we also chatted to the guys from Jah Jyot Punjai Street Food who were recently listed in the top three Asian restaurants of the South East recently despite being a street food vendor – something which is pretty much unheard of! Their food is so full of flavour and we all loved the samples we tried so I’m keen to go back for tea! We also caught up with the team from Vincenzo Prosecco Van who sell prosecco by the bottle and they have Frizzante 1754 on tap – it turns out that because of some Italian laws, you’re not allowed to sell prosecco on tap, but Frizzante 1754 is just as delicious. We rounded off the night with a chimney cake from Chimney Chicks and if you haven’t seen these plastered all over your Instagram then where have you even been? These are the new ice cream rolls (I’m sure everyone from Leeds saw Thai Khrim ice cream rolls all over the ‘gram for the three months they were in Trinity Kitchen). 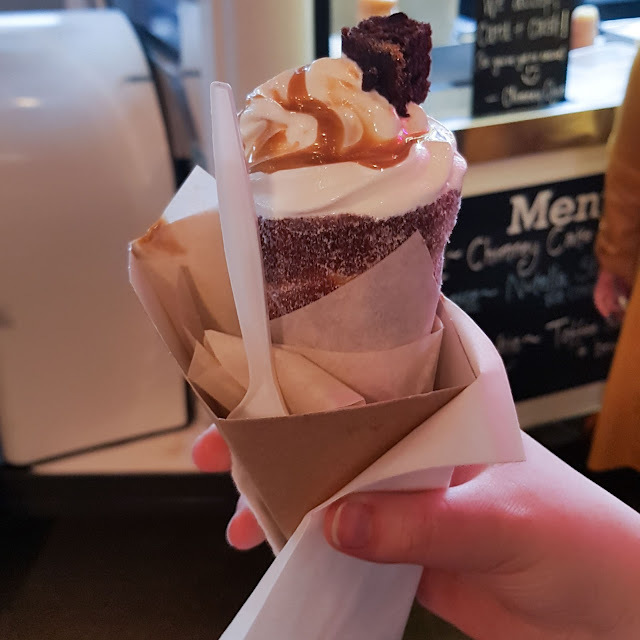 Chimney cakes are like a churro but the pastry is wrapped around a cone then cooked to form a shell that can be filled with ice cream and a topping of your choice. I went for brownie and toffee sauce which was the absolute dream. I’ll definitely heading back again to Chimney Chicks – mainly as I want to try the unicorn one. All in all, Trinity Kitchen has a pretty solid line up right now so I’d definitely recommend heading down for a post-payday treat. WOW! I need all of this in life.. and in my belly right about now!